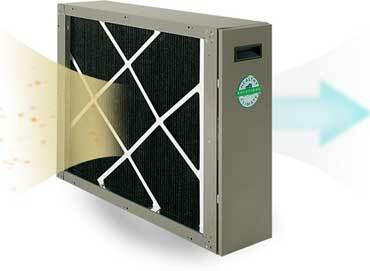 Many air-cleaning systems filter out particles. Some destroy germs, and some attack odors. The PureAir™ S Air Purification System is a whole-home solution that combats all three major types of indoor air contaminants. 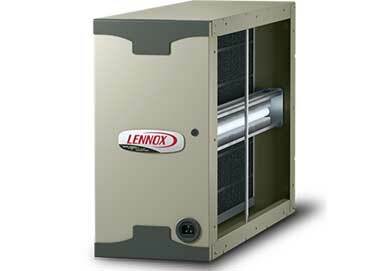 Removes 99.9%* of mold spores, pollen, dust and pet dander. Removes more than 95% of fine particles absorbed by the lungs down to 0.3 micron**. Removes or destroys 90%* of flu and cold viruses, infectious bacteria like MRSA and other living microorganisms down to 0.01 micron** Destroys household odors and volatile organic compounds (VOCs) from sources like cooking fumes, pets, cleaning supplies, paints and solvents, and carpeting and upholstery. CARBON CLEAN 16® FILTER MERV 16-rated*** filter with activated, carbon-coated fibers captures contaminants as small as .01 micron**, removing them from circulation. Unlike other air purification products on the market, the PureAir™ S system does not produce any ozone as a by-product and actively works to reduce ozone, a known lung irritant.† Photocatalytic oxidation destroys odors, and so does the Carbon Clean 16 filter. Carbon inside the filter that’s been treated with oxygen reacts with odors, neutralizing them before they can recirculate in your home. The PureAir™ S Air Purification System is equipped with smart and sensing features that make maintaining your system a breeze. Built-in sensors monitor the life of both the filter and the Purifier UVA light so you don’t have to. When it’s time to change the filter or the Purifier, the PureAir™ S lets you know through your iComfort® S30 Ultra Smart Thermostat.